You know those rad kid couches that have taken the interweb and social media by storm? Yep, I'm taking about a Nugget! My kids love em! America is loving em! And I'm teaming up with them today to offer you guys an awesome giveaway! But first, a little bit about the Nugget and why our family loves it and how we use it! 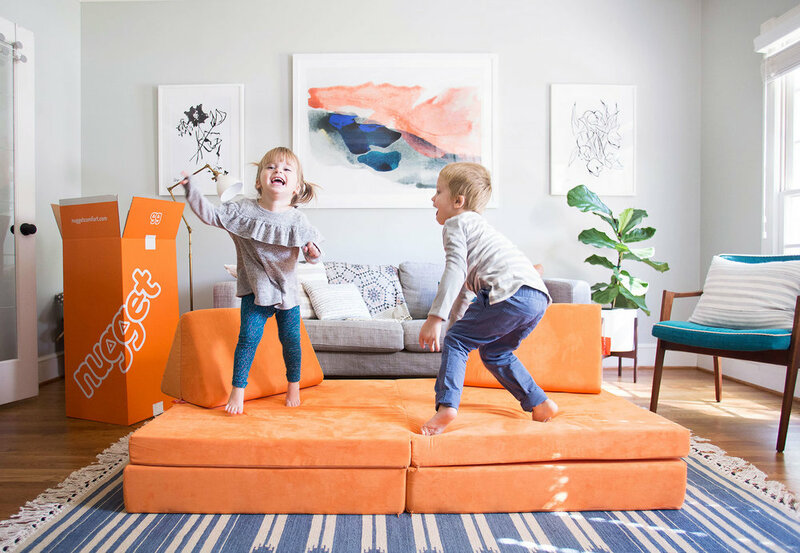 The Nugget is basically a portable couch that is comfy, cool and fun! It comes in a rainbow of awesome, modern colors (and the covers are removable too so you can switch it up..more on that later..). Its for kids of all ages and can be used to play, read or just relax. My kids love to build things with it and jump to their hearts desire. When the kids aren't using it, I can style it to be more grown up and blend with the rest of the decor in my home. So, win win for the whole family! You can catch my son Wyatt building a train track or snuggling our pup Buster (who also lounges on the Nugget during the day to people watch). Its basically a universally awesome product and fun for hours for my kids! If it were up to my kids, they would have a Nugget in every room! Which brings me to the giveaway! 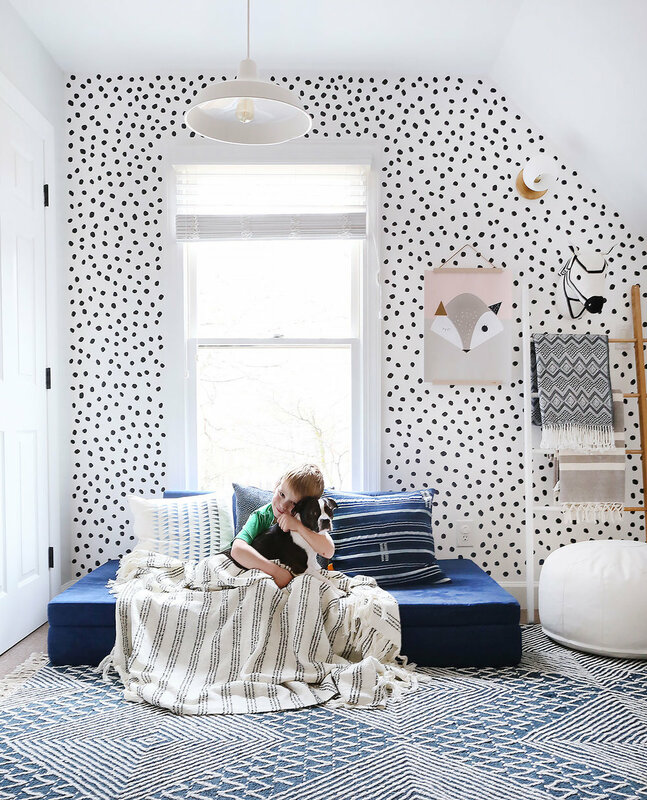 Nugget is a Durham-based company and I've had the pleasure of getting to know the team and testing out multiple colors in my home. On March 6th, they are launching all the colors available in removable covers. Which means you can interchange the colors seamlessly (and its super easy to remove and wash because I have a 2 year old)! They are offering my readers a $100 shop credit towards a new Nugget or a cover in the color of their choice! Their new modern colors are soo good. The Cactus, Koala and Submarine are some of my favorites and will all be available in the covers too. I also loved testing out the Cantaloupe against more neutral or muted background colors. Its so fun and happy! Tell us your favorite color in the comments and that's it! We will announce the winner on Sunday, March 4th at 8pm. U.S. residents only. All the colors will re-stock on March 6th, so head on over and check em out! And thank you so much for reading and following along!